Hello. 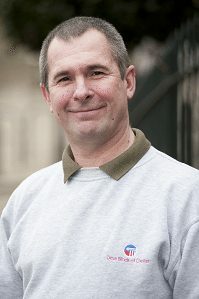 I am Paul, the owner of Deva Blinds Cheshire and Shutters Cheshire. I run a small local business with my wife. I sell and fit the blinds and shutters and May with her team makes the blinds. We do not run misleading marketing deals, ie a 50% sale that never ends, not do we offer 3 blinds for £99, that turn out to be only available in shocking pink. When I come and visit you I will show you what we can do for you. We use the best components and fabrics, that stand the test of time. A true local independent business that will give you the service you deserve. No gimmick 50% off sales that never end, nor do Deva Blinds Cheshire and Shutters Cheshire offer 3 blinds for £99 that are only available in Pink. Deva Blinds Cheshire and Shutters Cheshire do not use cheap quality components, imported from China. We only use the very best. We will only make your blinds with components and fabrics that we know will stand the test of time. Deva Blinds Cheshire and Shutters Cheshire can provide you with a no-obligation quote, free of charge. All our prices include VAT and fitting. The price we quote is the price you pay, simple. A true local independent business that will give you the service you want. No gimmick 50% off sales. Deva Blinds Cheshire and Shutters Cheshire is an old fashioned type of company when it comes to customer care. If we’re able to do it, we will. We are a small company but product range of the largest quality blind manufacturer in the world. Being an independent company Deva Blinds Cheshire and Shutters Cheshire are not restricted to one manufacturer, we are not a franchise. We can show you many things not offered by national companies. We offer both households and businesses a non obligation visit, free measuring and free fitting for made to measure blinds. Deva Blinds Cheshire and Shutters Cheshire are local business in M56, for the people in M56 and the surrounding area. No gimmicks with 50% off sales all the time, just quality blinds at a sensible price. If you are moving to a new house or are in desperate need of blinds, we offer a Fast Track service. For many ranges we are able to fit your blinds within 48 hours of your order. Deva Blinds Cheshire and Shutters Cheshire carry two range of fabrics in all of our blinds, quality blinds at a sensible price and a budget range, so all pockets can be catered for. Deva Blinds Cheshire and Shutters Cheshire is a small independent company based in Chester and covering a much larger area around the country. Being an independent company means Deva Blinds Cheshire and Shutters Cheshire are not restricted to one manufacturer, we are not a franchise. We can show you many things not offered by national companies. Deva Blinds Cheshire and Shutters Cheshire offer both households and businesses a non obligation visit, free measuring and free fitting on all of our products. We believe in honest business practices and will not let you down on our promises. Deva Blinds Cheshire and Shutters Cheshire do not offer gimmicky discounts, just quality blinds at a sensible price.